Sometimes we want to reposition certain image/text in our paper because at the time of printing the content of our digital document doesn’t coincide/match the size of our real paper. 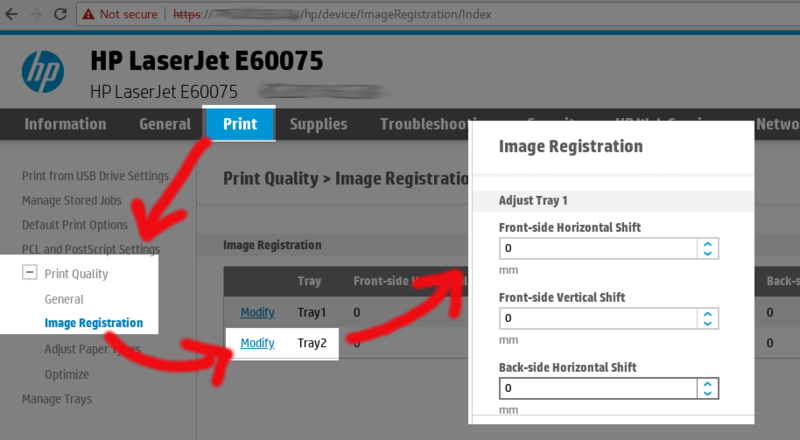 The HP E60075 let’s you adjust a digital positioning (imageable area) so the printing gets adjusted to our paper size. This printer supports different custom paper sizes and duplex printing for A5 (ideal for checks).